A Moray teenager will fly to Central America next week to begin a one-year teaching odyssey. Former Lossiemouth High School pupil Liza-Marie Hill managed to raise almost £6,000 over the past few months to fund a daring expedition to Honduras. The 17-year-old admitted she had some reservations over the country’s notoriety, but said she was looking forward to jetting off on Tuesday. Liza-Marie said: “I’ve never been to Central America before, and the only thing that keeps coming up when I try to research Honduras is that it’s the murder capital of the world. Liza-Marie will teach children aged between three and nine at the Red Apple preschool in Siguatepeque, a city in the country’s central mountains. Although the school is bilingual, the area is Spanish-speaking and this will be another challenge for Liza-Marie to take on over the next year. Liza-Marie also extended her gratitude to the local businesses that have helped her reach her fundraising goal. The owner and chairman of Elgin’s Springfield Housing, Sandy Adam, pledged £1,000 to help her make the journey. And when Liza-Marie approached her stepdad – who works for Stagecoach – with a view to procuring a donation, the bus firm offered her a summer job in its Elgin office to help pay for the trip. To prepare for next year, she also undertook a strenuous four-day course on the island of Coll, in the Inner Hebrides, last month. The teenager’s thirst for adventure was sparked during a high-school trip to Morocco two years ago, on which she and her classmates helped locals to repair a damaged road. She added: “That really gave me a taste for combining going abroad with helping people while I’m over there. “Those 10 days would have been the longest I’ve been away from home, up to this point. 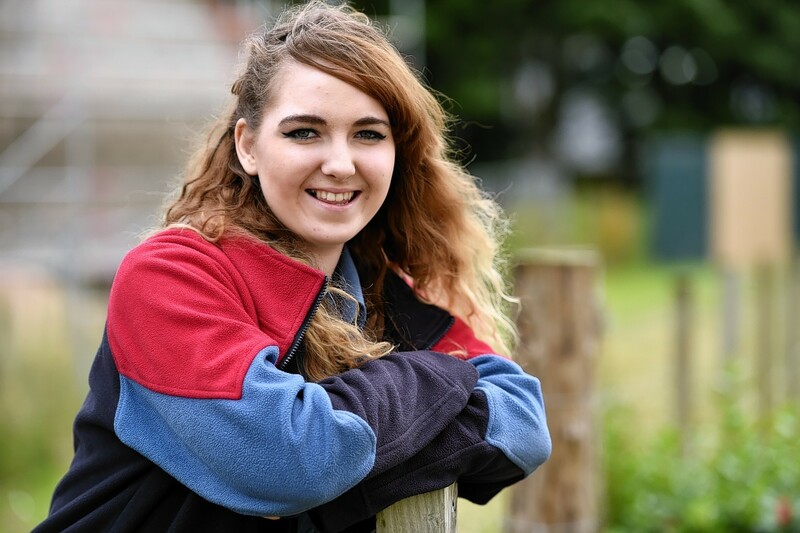 The youngster said her experience with two younger siblings, and in helping out at several Lossiemouth youth groups, made the teaching project an ideal option for her. She hopes to pursue a career in working with children when she returns home next summer. Liza-Marie is completing her teaching placement through the Project Trust educational volunteering charity.